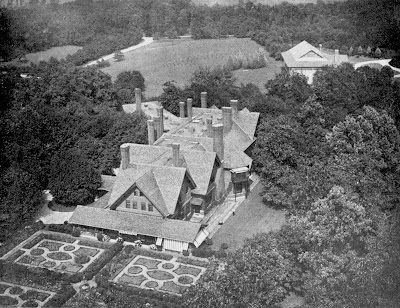 An aerial view of William Collins Whitney's 'The Manse' by McKim, Mead & White in Old Westbury. This view gives you an idea of how immense this house was. Click HERE for more on 'The Manse'.